Skin lymphoma is a rare type of cancer that originates in white blood cells in the skin. Lymphoma, in general, describes a type of cancer that develops in white blood cells called lymphocytes. Lymphocytes are an integral part of the body’s immune system. They are found in lymph nodes, which are small clusters of immune tissue located at various locations throughout the body, as well as in other areas of the body, such as the bone marrow, spleen, and other organs, including the skin. There are two general types of lymphoma: Hodgkin lymphoma and non-Hodgkin lymphoma. While lymphoma cancer may develop anywhere lymphocytes can be found in the body, skin lymphoma, also called cutaneous lymphoma, refers to cancer that develops in the lymphocytes of the skin. Since cancers are categorized by the cells in which the cancer originates, cancers that start in lymph nodes that are not located in the skin, and then spread to the skin, are not considered skin lymphomas. 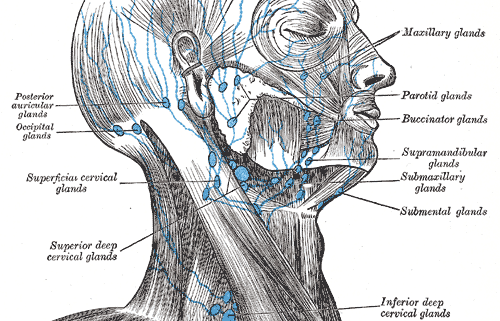 The lymphatic system is a network of cells, tissues, and fluids that fight infections and disease in the body. Lymphoid tissue is mostly composed of white blood cells called lymphocytes. “B lymphocytes (B cells): B cells normally help protect the body against germs (bacteria or viruses) by making proteins called antibodies. The antibodies attach to the germs, marking them for destruction by other parts of the immune system. Scientists have developed lab testing that can distinguish between B cells and T cells by detecting proteins on the surface of the cells with distinct DNA signatures. Such tests are also used to identify the level of development of B- and T-cells, information which guides doctors in determining treatment plans for people with lymphoma. 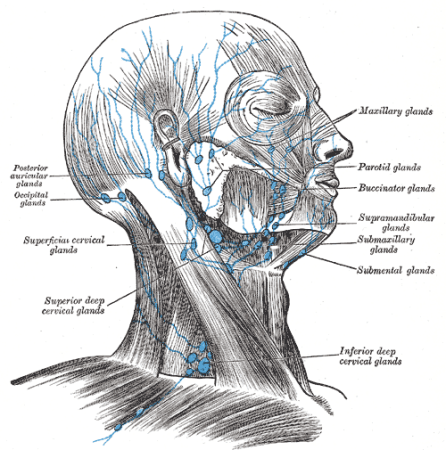 Lymphocytes may be found in many locations in the body, but most are found in the lymph nodes. The nodes form a network connected by narrow veins, similar to blood vessels, called lymphatics or lymph vessels. These vessels hold and transfer vessels carry a thin, clear liquid called lymph fluid. Lymphocytes, and lymph tissue, may also be found in the spleen, bone marrow, thymus, adenoids, tonsils, digestive tract, skin, and other organs.